Reference material such as computer websites, encyclopedias, etc. Ask your students, “What time do you get up on a school day? What time do you usually go to bed?" Generally, the timespan between rising and bedtime will be about 14 hours. Then say, “Imagine if you had to work in a factory almost the entire time that you are awake. You may be working on machines or with tools that are not safe. By the end of each day, you are tired, dirty and sore. No time to play, watch TV or see your friends. “Over 100 years ago, many children and adults had this kind of life, working hard in unsafe conditions receiving very little pay. “If you, your parents or relatives had this kind of life how would you feel? What would you do to change things? “Labor Day began because of these conditions. You will be working in small groups to find out more about this national holiday." 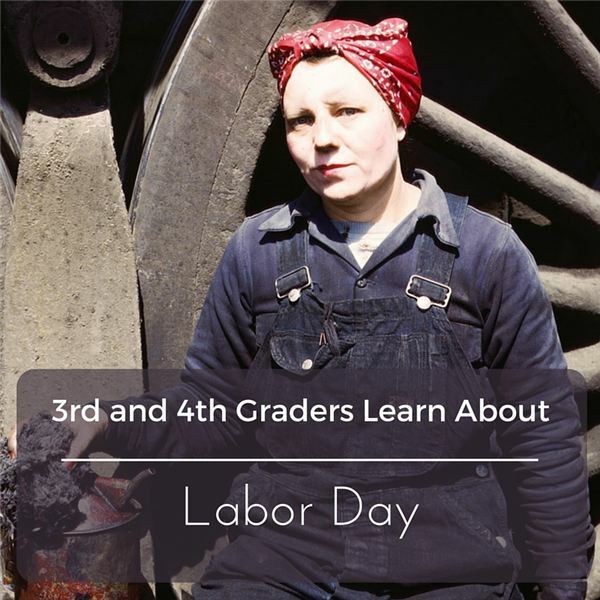 Arrange students in small groups to explore one aspect of Labor Day. Provide time, resources and materials. What Was the Purpose of the Labor Days in the Beginning? Each group should take some notes on what they have learned. Then make a poster to advertise an event or provide information about the topic they have researched. Add drawings or photos. Be prepared to present what you have learned to the rest of the class. Do you feel your job is safe? Do you know what kind of jobs grandparents or great-grandparents had and how their jobs compare to jobs today? Perez, L. King. First Day in Grapes. Lee and Low Books, 2002. Rissman, Rebecca. Labor Day. Heinemann Library, 2011. Dash, Meredith. Labor Day. Abdo Kids, 2015. Clark, Katie. Grandma Drove the Lobsterboat. Down East Books, 2012.